My first non-Spock exposure to Nimoy was as the host of the fantastic hit ‘80s Nickelodeon TV show, Standby: Lights, Camera, Action!, which took kids like me behind the scenes of movie productions. I learned so much from that show—I can still recite verbatim the segment where Nimoy explained what movie trailers were, screening the one for Scarface as an example, and why they were called “trailers” even though they came before the film. With that show, Nimoy helped educate and inspire a generation of movie lovers. Spock’s signature phrase was “live long and prosper.” Nimoy took those words to heart and was able to do just that. He embraced one of the most famous rolesof all-time, and made it a blessing instead of a burden. RIP. 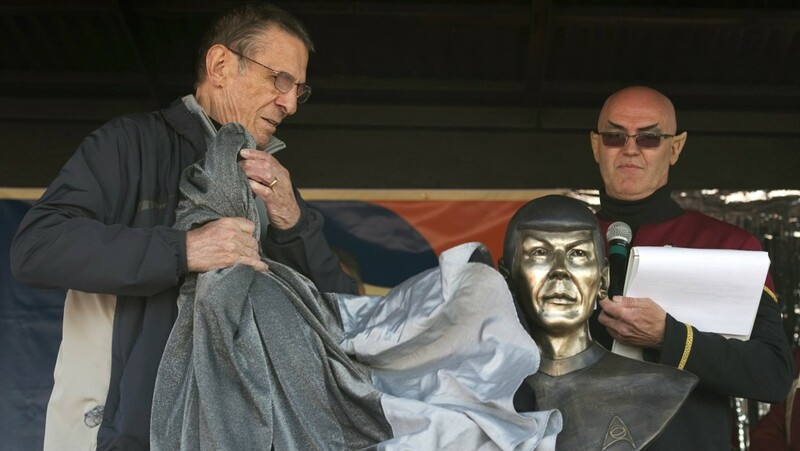 This entry was posted in News/Analysis, Quartz, Stories and tagged Fringe, Leonard Nimoy, Standby: Lights Camera Action!, Star Trek on February 27, 2015 by Jason Lynch.